Greg and Kate have moved to Manhattan after twenty-two years of child-raising. 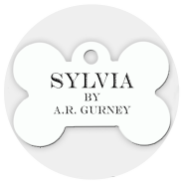 One day, Greg brings home a dog he has found—or that has found him—bearing only the name “Sylvia” on her tag. A street-smart mixture of Lab and Poodle, Sylvia becomes a major bone of contention between husband and wife. We do not accept emailed reservations.